The NHS and local authorities in England are rolling out a new digital tool that has been proven to cut avoidable long stays in the hospital in a trial in Devon, Berkshire and the north last year. The pilot was led by the North of England Commissioning Support Unit, which developed the portal with funding from NHS England. Called the Capacity Tracker, it allows health and social care staff to access information about the number of beds available in local care homes on any device. 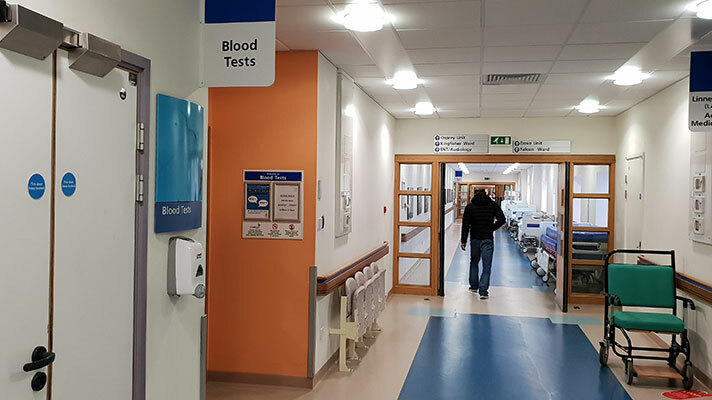 The tool is part of a series of measures introduced to help patients fit to be discharged get out of hospital sooner and receive the care needed for their recovery, while also free up beds for those most in need. More than 6,250 care homes have reportedly signed up to use the new system as the NHS and councils make it available across the country. “The Capacity Tracker was first introduced to Greater Manchester in 2017. We are pleased with the uptake it has had with care homes and health and social care teams across our localities now having quicker and better access to vacancy information,” said Jo Chilton, programme director at the Greater Manchester Health and Social Care Partnership. According to NHS England, around 250,000 hospital bed days were last year taken up by patients that were in fact medically fit to leave the hospital, but staff faced delays in finding care homes suitable for their needs. “We know that for the vast majority of people, they are most comfortable staying in their own homes in their local communities for as long as possible, so every effort should be made to keep people well and where it’s possible and safe, to prevent the need to be admitted to hospital, or indeed a residential setting, in the first place,” said Glen Garrod, president of the Association of Director of Adult Social Services. “However, if people do need to go to hospital then health and social care must work together to support people through their period in hospital, and on discharge to help them return home where ever that is possible. “We must think ‘home first’. If after a thorough discussion with the person and their family, it is decided that going home is not an option and a residential care home is required then it is important we work together, with individuals and their families, to support them to make an informed choice based upon the information and advice provided,” Garrod added.